The list is current as of 11/19/18. 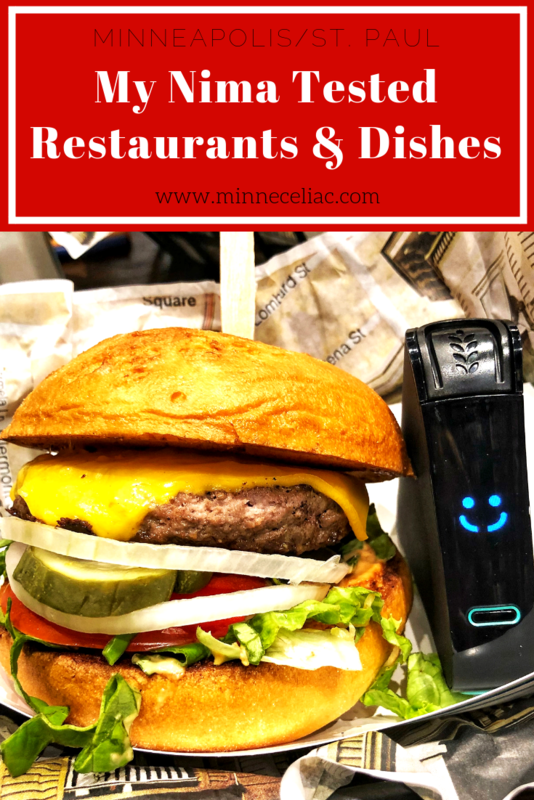 Here is my running list of the restaurants/foods in the Twin Cities that I have tested with my Nima Sensor! If I’ve written a separate restaurant review, it will be linked in the name of the restaurant. You can read all about my Nima Sensor here! Please note: These tests are only my own. The Nima Sensor website/app also has user tests for many restaurants and cities.